CES 2019, the world’s largest consumer electronics trade show, once again has impressed the whole world with a myriad of jaw-dropping innovations. We can officially announce 2019 as “The Year of Future”. What used to be a part of a sci-fi novel, now is a reality. Our inexhaustible desires got transformed into a powerful fuel to the new ideas, outstanding gadgets and rapid progress in virtual reality (VR) and augmented reality (AR). CES 2019 has become a platform where the largest companies gathered to brag about their truly innovative products and open a new page in the digital business. More 2.5 million square feet of exhibit space, more than 20 product categories and more than 80 companies, including Intel, LG, Samsung, Sony revealed in Las Vegas their best products. Let’s have a closer look at some of the products and trends that emerged at CES 2019. Here’s our pick of the tech innovations that will change our daily routine in the nearest future. In about 12 months or less, people will get a chance to test on their own all the mentioned below products and other digital products revealed at CES 2019. There is much talk about 5G, it is expected to appear in 2019. The proofs are the 5G phone prototype of Samsung we could contemplate at CES and a loud promise of Samsung’s President and CEO HS Kim to release the first 5G smartphone in 2019. However, it is still not clear when exactly we will have 5G and who will be the first to hit the market with a brand-new 5G smartphone, Samsung or its competitors. The only thing we cannot deny that 5G will have a knock-on effect on VR, autonomous driving, telemedicine and plenty of other technologies. Artificial Intelligence (AI) is closer than you think. Nowadays, you can face it not only in some mobile applications or software installed on your laptop. Very soon AI will be implemented everywhere, and I do not exaggerate right now. Alexa and Google assistant spread their intelligence on the most various tools. For instance, Alexa is added to Delta’s Touch2O digital taps. Such a tap helps control the usage of water and effortlessly fill in the bath with your voice. We also noticed a new trend of smart kitchen appliances like Amazon’s Alexa-powered microwave or Instant Pot supported by Google Assistant. Yes, now we can talk even to the pot. And there one more thing worthy of your attention, it may sound awkward, but 2019 can boast of a smart toilet – Numi 2.0. Just ten years ago we could not even imagine such innovations, but now we have everything, including AI-powered toilet. However, such devices are just a matter of taste. For somebody that product can be helpful, for others it may be just an unnecessary luxury and one of the machines that contribute to the inevitable increase of consumerism. The Cemtrex SmartDesk is undoubtedly one of the most useful products represented at CES 2019. This is a well-thought-out workstation in the form of a desk with a built-in powerful computer, comfortable keyboard, and three large touch monitors. You can easily adjust the desk and work sitting or standing. This helps us avoid unwanted pains and aches that appear as the result of long hours working at the computer. And what really makes this desk unique is a possibility to wirelessly charge your devices and seamlessly scan documents. The Cemtrex SmartDesk is a combination of everything you need to get work done and meet all the deadlines. This is a must-have for every office. The HTC’s Vive Cosmos is a huge step toward easier access to Virtual Reality and the new era of VR games. This VR PC-based headset was created with the focus on the main customer needs: comfort, ease of set-up and use. Unlike other VR headsets, Vive Cosmos doesn’t require any external sensors and can be used both at home and on the go. HTC has also mentioned that the screen of Vive Cosmos is much better ( however, the info about specs is not revealed yet). Finally, Vive Cosmos is the first headset powered by an elaborate brand-new system that will let friends meet up. More details about this device will be disclosed in a few more months when the Vive Cosmos headset will be officially released. 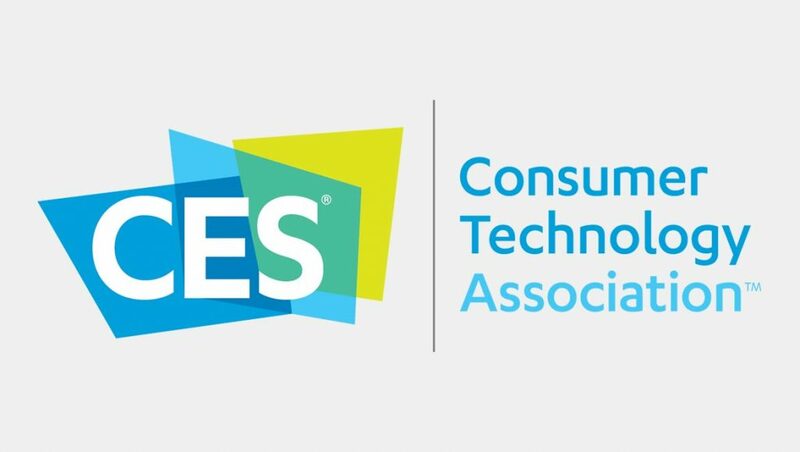 LetsPlott extended reality platform is recognized by CES as one of the best innovation in 2019. With this platform, you can easily redesign your surrounding without manual measuring and complex calculations. The mobile app enables you to take pictures or use AR capture mode to visualize the project. Using pictures, videos and real world dimensions you can design virtually before making any changes in reality. When you finish designing, Cubit will provide with directions where to modify the design in the room, reducing the possibility of mistakes. LetsPlott extended reality platform will save your time and will help you bring your plans to life with the minimum of tedious processes. CES 2019 has shown a great number of outstanding digital products. You can check out the full list of CES Innovation Honorees here. Some of the products are extremely useful, some are a bit strange, yet they all will definitely change our lifestyle, hopefully only in the positive way, eliminating dozens of manual tasks and making our world better and smarter. Let’s watch how slowly but confidently our world is changing under the influence of unstoppable technological progress. CES 2019 has opened a new page in our history, and I’m sure CES 2020 will startle us with many more AI-powered solutions and exquisite digital products. This entry was posted in Conference and tagged CES, Conference, Startup, Technology. Bookmark the permalink.